I know you're frustrated due to bad results of Federal Board announced for HSSC Part 1 or Part 2, and you want to improve your marks because you have learned from the mistakes. Do you know? Even you get the low marks in the improvement exam, the previous marks will be entertained. If you get the higher marks than the previous one, the higher marks will be considered. The improvement exams are taken in October every year, so it means, you have 2 months to prove yourself. If your parents are angry at you because you didn't perform well in 2 or more subjects, say them, give us only 2 months, I will get the marks and prove myself, Dad! And you will not use a smartphone and the internet much to waste the time rather you will spend 60 days in studies. Candidates who have appeared in HSSC-I will take supply or (improvement of max 2 papers) next year along with HSSC-II annual exams 2018. Candidates who have appeared in HSSC-II will give supply or improvement in up coming supplementary exams. Supply papers are starting from 24 October 2017. Applying is easy, here I will explain the step by step guide. If FBISE server is slow, you can download the form for 2017 from here at high speed. Status: So, you're an improvement student so you will select Ex. Normal - Till 17-08-2017: Rs. 1350 for HSSC Part 1 or Part 2 Improvement and Rs. 2550 for HSSC Part 1 and Part 2 at the same time. Double - From 18-08-2017 to 24-08-2017: Rs. 2700 for HSSC Part 1 or Part 2 Improvement and Rs. 5100 for HSSC Part 1 and Part 2 at the same time. Triple - From 25-08-2017 to 11-09-2017: Rs. 4050 for HSSC Part 1 or Part 2 Improvement and Rs. 7650 for HSSC Part 1 and Part 2 at the same time. Challan No: It will be explained in Step 3. Previous Year (HSSC-II) Year: You have to select the year when you took the last exam. If you took the recent one in 2017, then write 17 and select Annual, and the Roll Number of the previous annual exams. Proposed Center and Code: Proposed center is the center where you want to take the exams. If you don't know the code of the proposed center, you can check here. 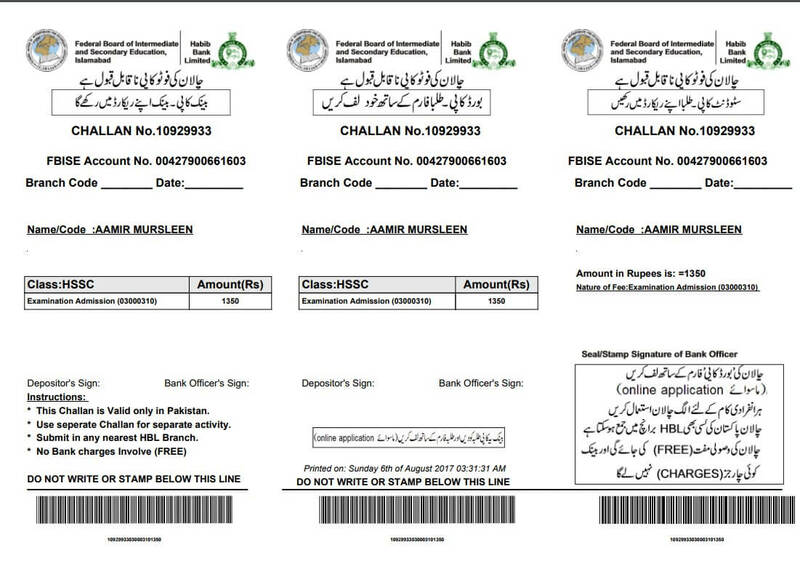 Without a challan form, your form will not be accepted. So it is important to generate, and fill it as I mentioned below. Keep in mind that, write fees as I showed above as per dates. 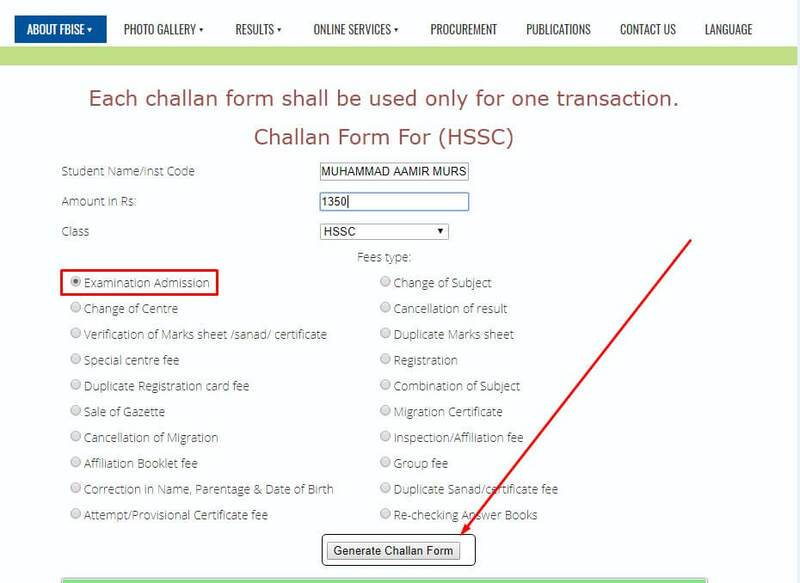 Select Examination Admission, and click Generate Challan Form. Go here to generate a challan form. Now you have to go any HBL Branch and deposit there. You just need to have the money and the challan form, they will do their work. Now you need to download the improvement form that you can download from here. After downloading, print it out, and fill it. Printed copy of your result card. For this, go here and write your Roll Number, and print it. 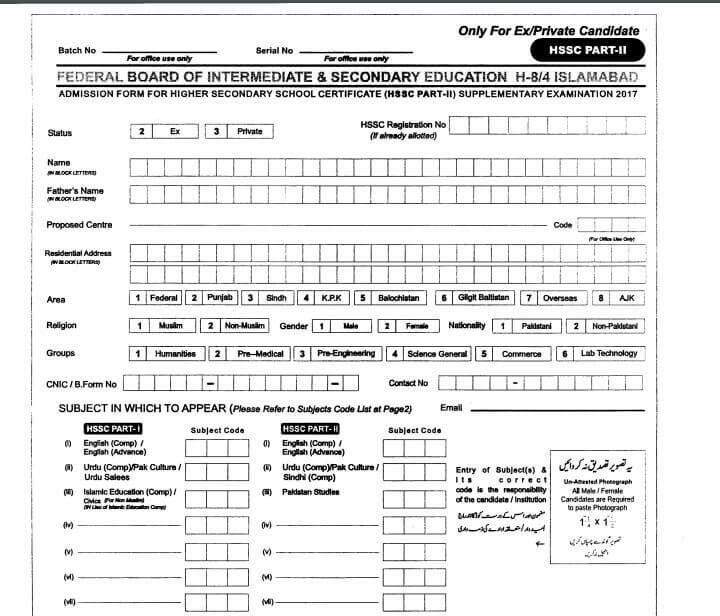 Once you have done all the things and attested all the documents with photos as per instructions are written in the improvement form and the admission form for improvement, then you need to send here via TCS or Leopard. 1. You can comment below, our team will respond you as soon as possible. 2. Go to the official website of FBISE, and get help via Live Chat. 3. You can call at FBISE office +92519269506 from 9 AM to 5 PM. 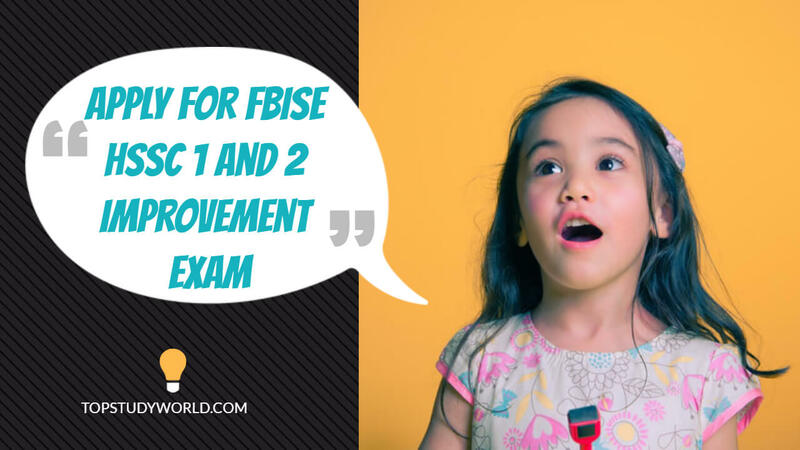 Are you thinking of improving your F.Sc exams for 1st or 2nd year, then FBISE is giving you a golden chance to improve your marks. Here is the step by step guide.